Aluminum slat construction bonded to woven matte black fabric. 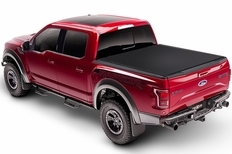 The TruXedo Sentry CT Tonneau Cover is a hard roll-up cover featuring interlocked aluminum slats for additional protection. The aluminum slats of the Sentry are pressure bonded to an premium-grade, woven matte black fabric. The aluminum slats are also finished in matte black to add that clean, blacked out look. 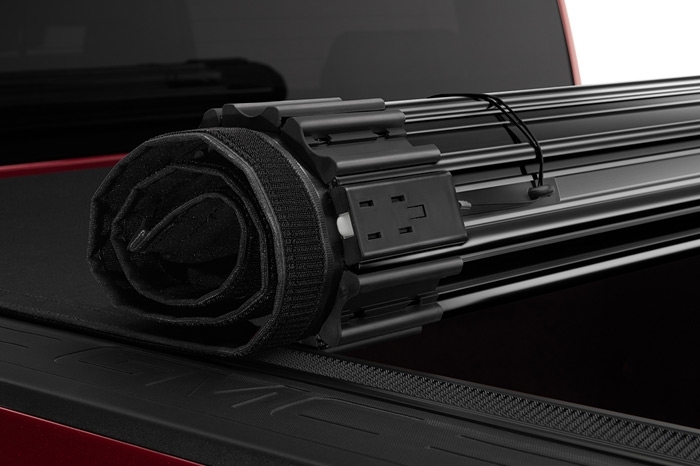 The Truxedo Sentry CT functions like a soft roll-up cover, so the truck bed is easily available by simply rolling the cover up. Straps will secure the cover open for driving. 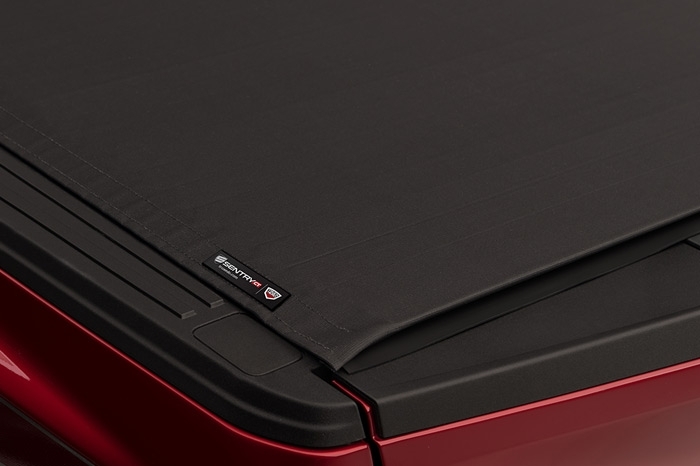 The Truxedo Sentry CT Tonneau Cover is simple to use with slam latches that allow the cover to open, and lock when closed, from either side of the bed. For added strength and security, there is an additional security latch near the center of the truck bed. Industrial-grade hook and loop fasteners keep the cover sealed along the bed rails, helping to keep water and debris out. 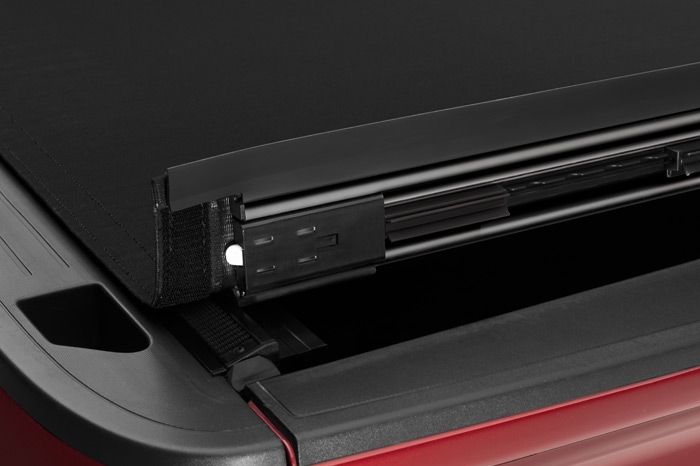 The integrated storage straps secure cover in open position for driving. The Sentry CT installs easily with basic hand tools and no drilling is required for installation. The rails feature a clamp-on design. The part number for this item is Truxedo 1548116 and it fits 2002-2008 Dodge Ram 1500 (+03-09 Ram 2500 3500) 8' bed models.